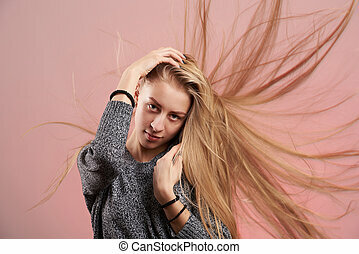 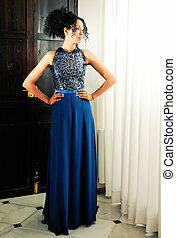 Young black woman, model of fashion. 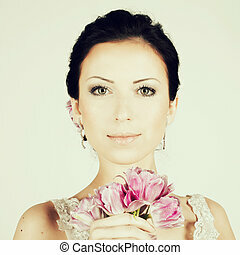 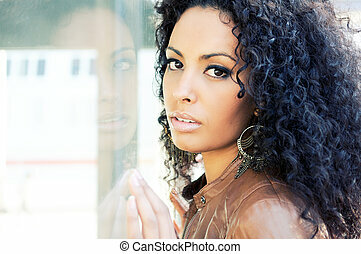 Portrait of a young black woman, model of fashion. 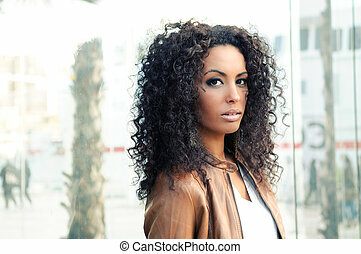 Young North African woman, model of fashion, with black curly hairstyle outdoors. 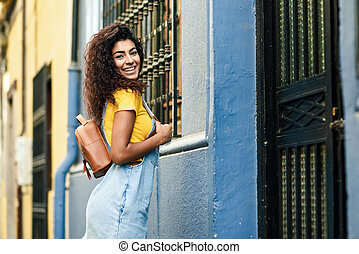 Smiling Arab girl in casual clothes in urban street.